The Premium Single Sword Stand serves as an impressive accessory for showing off your favorite blades. This weapon stand will accent your katana or other sword with its high gloss piano black finish, creating a stunning display. The sword display stand is lined with soft red felt in order to protect the scabbard of your sword from scratches while it is on view. 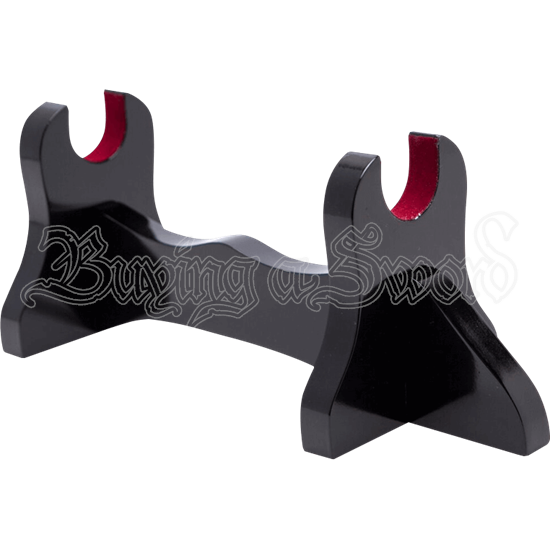 This premium sword rest is easy to assemble and makes a fantastic addition to your weapon collection. Do not hide away your swords when they are not in use. Instead, make them a part of your decor with the help of the Premium Single Sword Stand!